The RFA 9 event took place on Friday night in Los Angeles at the StubHub Center while airing LIVE on AXS TV. The main event saw Pedro Munhoz (9-0) defeat long time MMA veteran Jeff Curran (34-16-1) to win the vacant RFA bantamweight title via split decision. Curran officially retired from MMA following the loss to Munhoz. Resurrection Fighting Alliance presents “RFA 5: Downing vs. Rinaldi” taking place at the Viaero Event Center in Kearney, Neb. this evening. 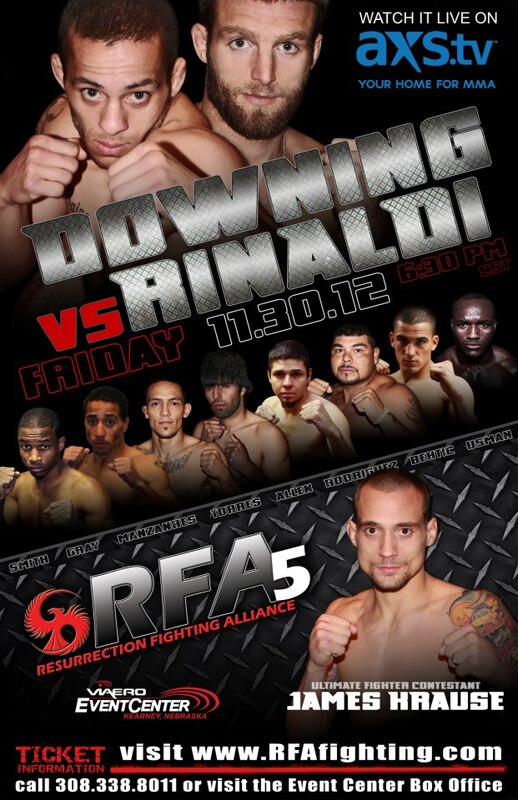 In the night’s headliner Jared Downing (8-1) will face Jordan Rinaldi (6-0) for the RFA Featherweight title. The RFA 5: Downing vs. Rinaldi full card is set for Kearney, Nebraska, on November 30th at the Viaero Event Center. 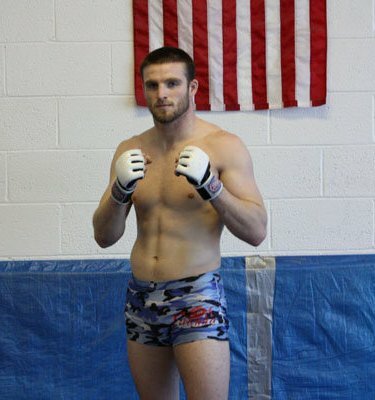 Resurrection Fighting Alliance fighter Jordan Rinaldi gives us his thoughts on his latest victory over Mark Dickman this past weekend, and talks about what’s next for him. 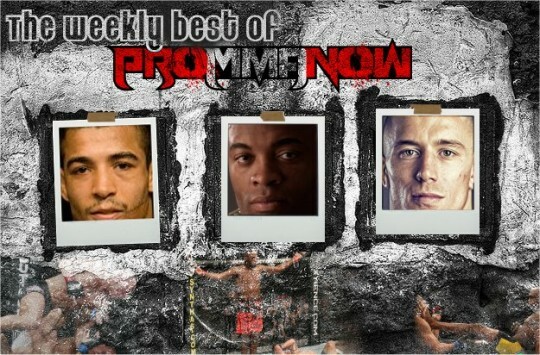 A video of the fight with Dickman is also included in this blog.